American actor Grant Gustin who is most known for his role as Barry Allen in the hit TV series, “The Flash” has recently gotten engaged to his half Sabahan girlfriend Andrea Thoma. The two of them took to Instagram to share the happy news where they celebrated their engagement with a day at the beach, in which Thoma was seen flashing her new diamond ring. While Gustin did not put a caption on his photo, Thoma wrote, “I can’t believe this boy is signing up to let me eat his face for the rest of our lives”. 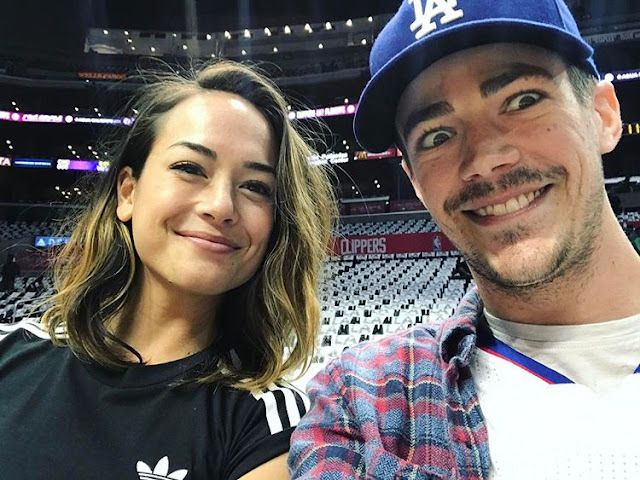 It was reported that the couple had been dating a little over a year and Gustin proposed to Thoma around end of last month. According to The Star, Thoma is Sabahan through her mother’s side. She previously posted a photo of her and her family wearing traditional Kadazan attire which was believed to be taken at her mother's village, Kampung Kolopis in Penampang near Kota Kinabalu. My aunts, cousins, and I in our traditional Kadazan tribal clothing for the Ka'amatan festival.